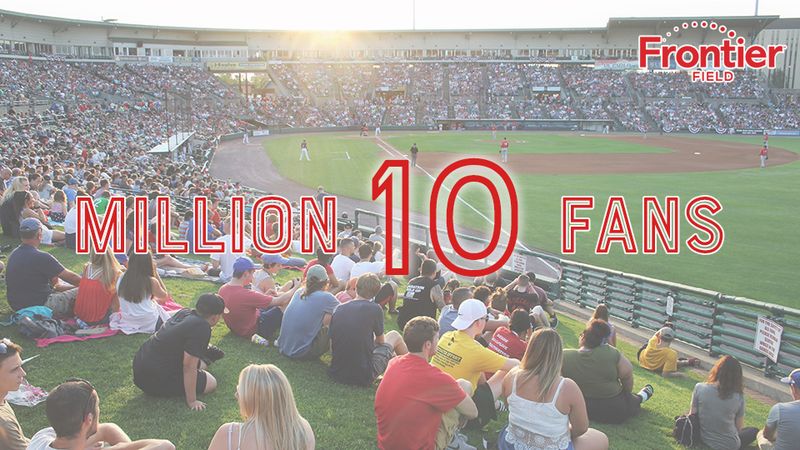 The Rochester Red Wings welcomed their 10 millionth fan of the Frontier Field era on Sunday afternoon. - Gift basket from ESL Federal Credit Union. All fans in attendance Sunday may also redeem their ticket to any remaining home date for the rest of the 2018 season for a ticket of equal or lesser value. The Red Wings will also be holding a ticket sale that will run from August 13-15 for all the great fans of Rochester. Fans will be able to use the promo code '10Million' to order two tickets for the price of one for either September 2 or September 3, the final two games of the season.